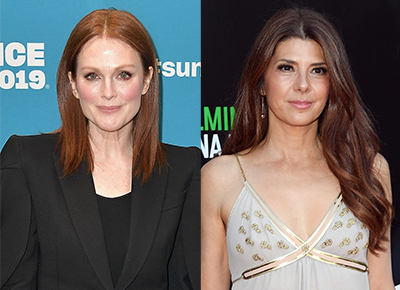 NEXT ARTICLEJulianne Moore & Marisa Tomei Just Found Out They’re Related & Wait, What? Subscription boxes come and go…and mostly sit unused under our bathroom sink, TBH. Except this one: Skin-care brand Sunday Riley is set to launch the second in its quarterly lineup, and we’ve got a sneak peek of what’s inside. Like the previous box (which was all about wellness), the “Love Box” is both luxe and utilitarian. But this time, the focus is on, well, love. Before you roll your eyes and mumble something about Valentine’s Day, hear us out. This is all about self-love. (Think of it as self-care, but with more heart eye emoji.) Per the brand, “the most important relationship you have in life is the one with yourself.” We’re into it. What’s inside? Aside from a full-size bottle of the brand’s popular C.E.O. Rapid Flash Brightening Serum (ahem, winner of a Blink Beauty Award), the box includes—among other things—a Maison du Soir robe, an Oribe scalp treatment, a lipstick from Lipstick Queen…and a full-size bottle of Sunday Riley’s yet-to-be-released C.E.O. Glow Vitamin C + Turmeric Face Oil. There’s more…but we don’t want to spoil everything for you. The Love Box will launch online on February 7. And yeah, this subscription will cost you a bit more, ($95 to be exact) but considering it has a $375 value…we kinda think it’s worth it? You tell us.